Only nearly 3 weeks late so let’s get going! 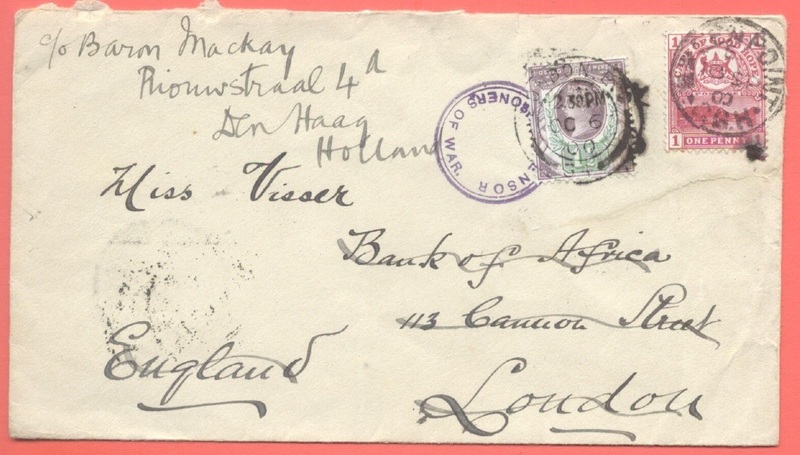 First off is a cover “going home” from the Boer war at the 1d rate with a COGH stamp, and then redirected to the Netherlands with the necessary 1 1/2d Jubilee added to make the 2 1/2d foreign rate. A dealer is likely to charge about double the £30.76 price it realised. 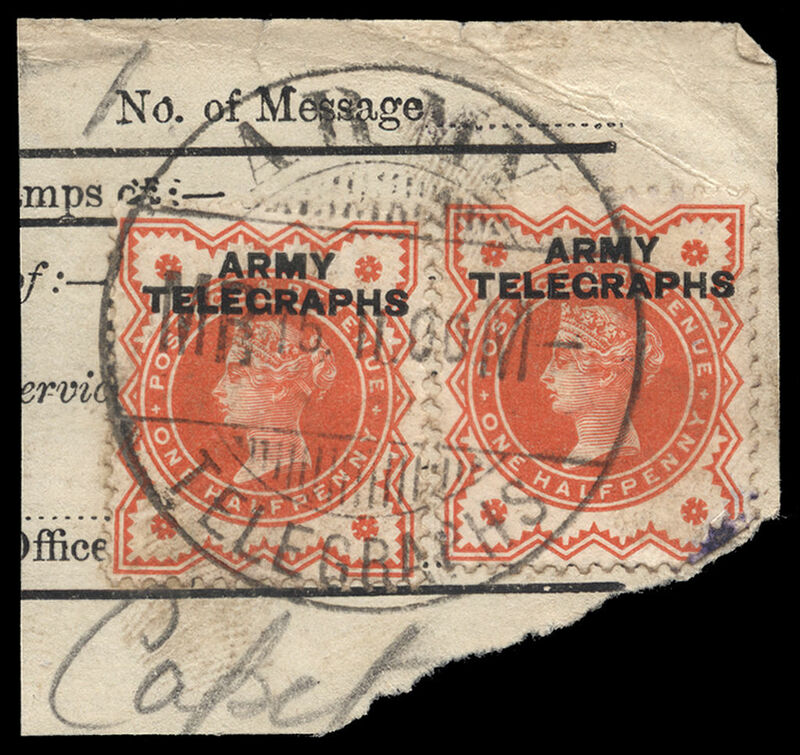 This Army Telegraphs overprint on the 1/2d vermilion is scarce used and this item is especially nice as it is still on a piece of the telegram they were used for! 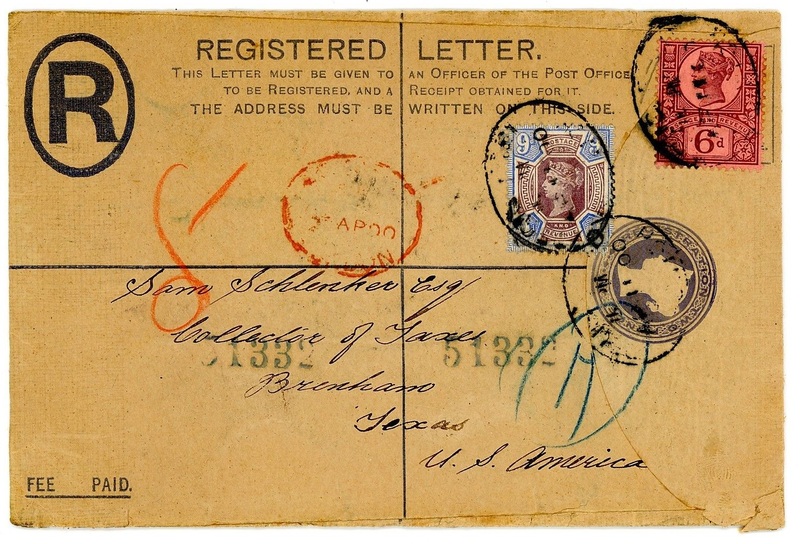 Typically stamps were placed in the corner of telegraph forms, from which an enterprising individual could “liberate” with a swift and sneaky tear across the corner before the forms were destroyed. 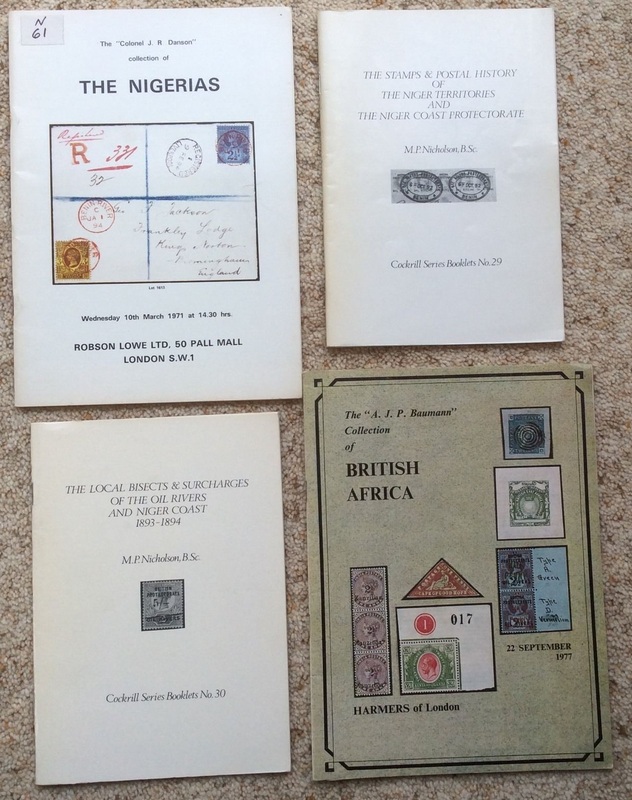 I do wonder if any complete forms exist… Sold for £82.39 by Stanley Gibbons no less. Next up is an uncommon usage of the 9d in addition to a 6d making an even more uncommon 1s3d rate plus the 2d registration die. Worth more than the £30.85 it fetched. This group of literature was my surprise of the month. I have the the two books by Nicholson and the auction catalogue for the Colonel Danson collection. None of which are scarce. So presumably everyone was trying to add the A. J. P . Baumann collection of British Africa to their library. And finally an interesting item of destination mail. 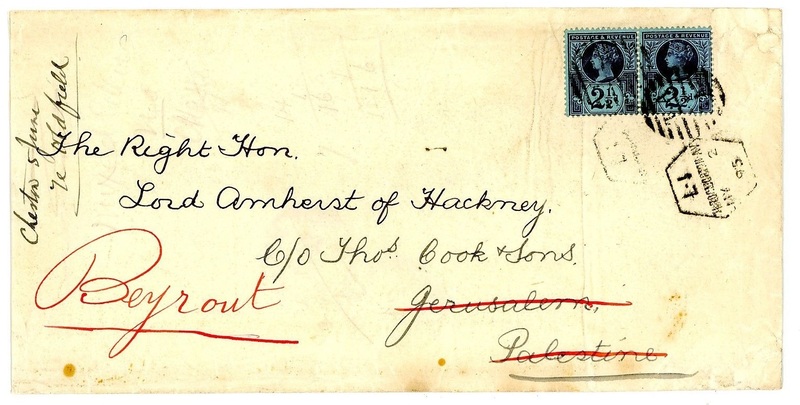 A cover sent to Jerusalem and then redirected to Beirut. Competition was strong and £60.94 was more than I wanted to pay because of the condition (although this is only the third cover I have seen going to Israel/Palestine).